Don’t let that post-holiday hangover turn into months of hibernation; there’s a plethora of performance showcases about to start! With so many acts in town, festival season offers a crash course in experimental theater, says Under the Radar director Mark Russell. “Then you can go back to the ballet.” Stretch your own artistic limits at four fests guaranteed to show you something new. 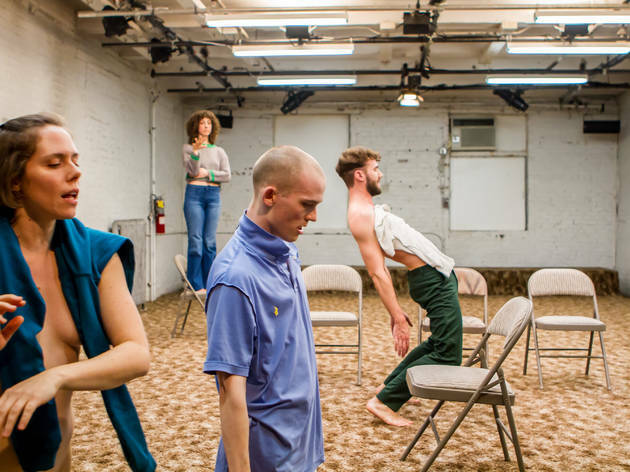 This collaboration between the Abrons Arts Center and Gibney Dance highlights “marginal and subversive artists” with five world premieres among its 16 shows, plus a selection of works in development and even an online journal. Various locations. Thu 5–Jan 12 at various times; $20/show. Along with a wide-ranging theater lineup that includes a virtual-reality experience starring the audience, P.S. 122’s festival offers a series of offstage events like a free sewing bee and a benefit party (Sunday 8). Various locations. Various dates and times; $10–$20/show. Through Jan 22. Founded in response to 9/11, globalFEST regards the concert as a form of cultural diplomacy. The one-night program places performers of a dozen genres, from shamanic Korean rock to Indo jazz, under one roof—with a focus on American regional styles like the pop-influencing Gullah sound. Webster Hall, 125 E 11th St. Sun 8 at 7pm; $45. The Public Theater’s Under the Radar fest asks: Why do theater now? It features 21 performances that challenge conventions of the form, including Manual Cinema’s updated shadow-puppet show and Gardens Speak, an actorless sound installation about Syria. Various locations. Wed 4–Jan 15 at various times; $25/show.